Juniperus communis subsp. 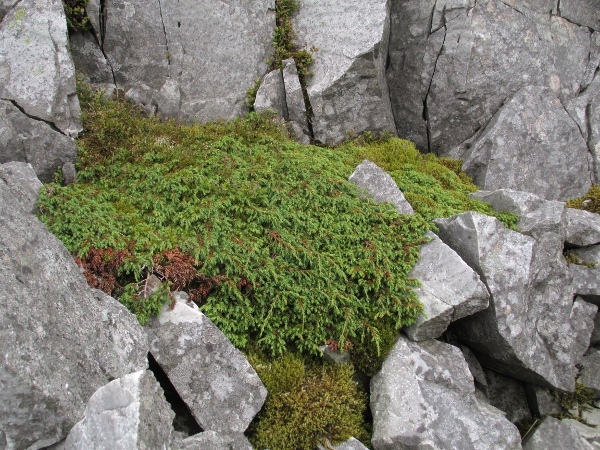 nana is a prostrate form of juniper, with an Arctic–Alpine distribution. 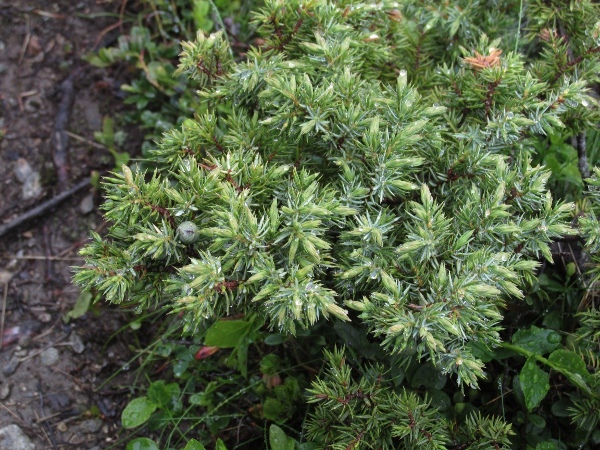 The leaves of Juniperus communis subsp. nana are more forward-pointing than in the other subspecies, with more abruptly narrowed tips.